The end of 2018 is finally upon us, which means it’s time to talk about the best books of the year. 2017 was one of the best years of Sci-fi and Fantasy I have lived to talked about, so it is no surprise that 2018 had some difficulty following its incredible performance. That being said, despite being a weaker year there are still a number of fantastic books that came out this year. If you need gift ideas for a friend or family member that likes fantasy or sci-fi, look no further than any of the entries on this list. As always, I had to make a cut off for the list somewhere and I arbitrarily decided to pick 21 – but there were still a number of great authors not listed who should be proud of their books. Without further adieu, let’s dive into the panoply of good reads in 2018. 21) The Dragon Lords: Bad Faith by Jon Hollins – When I first came across the Dragon Lords series, it was clear that I had found a diamond in the rough in need of a little polish. However, while the first book had some flaws, Jon Hollins showed massive improvement in the sequel last year, and the finale this year. Humor in fantasy is hard, and while these books might not always be perfect – I think they bring enough originality and quality to the stage to be worth anyone’s time. Bad Faith has a lot of laughs, a lot of failures, and a boatload of people learn how to be slightly less garbage. Jon Hollins is improving as an author with every book that he writes and I can’t wait to see what he gets up to next. 20) The Monster Baru Cormorant by Seth Dickinson – A sequel to The Traitor Baru Cormorant, this unique series focuses on cultural warfare and how to crush one’s enemies without lifting a sword. Monster had some small pacing problems, but they failed to detract from the book’s increasingly complex and fascinating world and thrilling political intrigue. Despite an almost entirely new cast, Monster continues to draw readers in with characters you love to hate and hate to love. Dickinson’s prose is some of the best in recent times and his worldbuilding is both complex and compelling. The ending of Monster gives only a small hint of where the story will go next and readers will be hotly anticipating the next book until it is in their hands. 19) The Ember Blade by Chris Wooding – The only book on the list we haven’t had a chance to review yet, and one of the few non-sequels, this mammoth piece of writing is a call back to classical quest fantasy. There is little innovating about The Ember Blade. It is a coming of age story of a hero with a destiny on a quest for a magic sword. However, just because the book doesn’t have a completely original plot, doesn’t mean it is bad (there is a reason things become tropes). With a relatable cast, a surprising amount of humor, and descriptive prose that brings the world to life, The Ember Blade is an easy book to get lost in. The only thing that keeps the book from placing higher on this list is its extremely slow pacing. The Ember Blade is a fantastic tribute to classical fantasy with a Wooding twist that makes it all the better. 18) A Big Ship at the Edge of the Universe by Alex White – Drama is the name of the game in this larger than life debut novel. Big characters, big fights, big magic, and a big plot – this book is Firefly, meets Fast and Furious, meets National Treasure. The cast starts out rough and unlikable, but is quickly chiseled down into characters you can dig into. The world is incredible, the adventure engrossing, and the combat will have you on the edge of your seat. The book is an interesting mix of fantasy and science fiction, and I wish more people would try similar genre mashups. Big Ship is the strongest debut I read in 2018 and I can’t wait to start reading the sequel, A Bad Deal for the Whole Galaxy, when it comes out later this month. 17) Blood of the Gods by David Mealing – Mealing’s massive debut book, Soul of the World, was a top contender on the 2017’s best of list. He has followed it up with an equally massive sequel less than a year later that continued to knock my socks off. Blood of the Gods continues Mealing’s philosophy of go big or go home. When Mealing first put out Soul of the World I believed he had decided to focus more on telling an imaginative story than on one that was polished and streamlined. After reading Blood of the Gods, I have realized that he was playing a long con, and that he is actually somehow doing both. With over 40 magical powers, this book is chaos incarnate and I can only imagine how much planning must have gone into a storyboard and world of this scope. Mealing has managed to get me to reassess his skill as an author with his second book, Blood of the Gods. While I initially thought he was a crazy imaginative author who might need a little polish; now I think he is a crazy imaginative author who clearly knows what he is doing. You won’t find another author who can pack more magic into a page than David Mealing. 16) Port of Shadows by Glen Cook – This might be a controversial pick, but I can’t help who I am, and who I am is a massive The Black Company fanboy. Glen Cook is one of my absolute favorite authors, and his newest entry into his pivotal The Black Company series is a welcome one. A book for longtime fans of the series, Port of Shadows answers a number of lingering questions leftover from the plot of the original books. It adds a layer of depth to characters I already loved, and I really appreciate that his book exists. Port of Shadows has all the hallmarks of a Cook classic: an unreliable narrator, a visceral brutality, a depressing tone, and more mystery than a cryptogram inside a labyrinth. Those of you who haven’t read The Black Company will likely want to steer clear of this one, but those of you who have – welcome home. 15) The Defiant Heir by Melissa Caruso – This book guaranteed itself a spot on this list by making me say the words “I really liked the love triangle”. I don’t even know where to start with The Defiant Heir. The sequel to The Tethered Mage, Caruso’s second book surpasses its predecessor in every possible way. It has a great cast, intrigue that will keep you up late reading, and a world full of magic that is fun to explore. However, what elevates The Defiant Heir to one of the best books of 2018 are two things. First, a dedication to a theme that we don’t see enough of in the fantasy genre – the idea that with power comes responsibility (#spiderprincess?). And second, a love triangle that I an genuinely invested in (something that has never happened before) and that explores the first theme I just mentioned. The two men in the triangle represent marriage for love and marriage for obligation, and Caruso gives equal weight to both. It was a bold choice on Caruso’s part that paid off in spades and made this one of the best reads of 2018. 14) Charmcaster & Soulbinder by Sebastien de Castell – Fun is king. One of two double entries this year, de Castell managed to put out two books in his Spellslinger series that claimed a spot together. There is really nothing more to say about these books than reading them was some of the most fun I had this year. The series continues to be charming, imaginative, engrossing, and easy to read. Reading these books gives me the same cathartic rush that I felt when reading Harry Potter as a child, and there are very few books that can come close to that feeling. 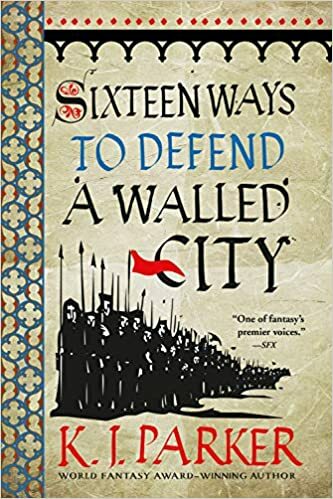 De Castell has continued to prove that he is one of the best fantasy authors of this generation and that anything he touches is almost guaranteed to be worth your time. If you haven’t managed to get your hands on Spellslinger yet there are now four great books to dig into, but be prepared to stay up all night reading them back-to-back. 13) Last Dragon Standing by Rachel Aaron – Speaking of fun. A large chunk of my free time this year was spent burning through all five Heartstriker books by Rachel Aaron. Although only Last Dragon Standing can make it onto this list (due to when it was published) collectively reading this series was one of the best parts of my year. Aaron has made a fun urban fantasy that moves at breakneck speed and has more delicious family drama than a soap opera. Unfortunately, a large part of the appeal of these books is their fun plot – making them very hard to review or talk about. However, take note of the fact that Last Dragon Standing managed to claim the spot 13th best book in 2018 and use that as a guide as to whether or not it is worth your time. 12) Revenant Gun by Yoon Ha Lee – Revenant Gun closes out one of the weirdest science fiction series I have ever read. While the first two books in the series were extremely confusing fun, Revenant Gun finally takes us behind the curtain in Oz and shows the reader what is actually going on in the books. Lee has proven that there is method behind the madness and you can trust him to deliver an incredible reading experience, even if you don’t quite understand what is going on. Revenant Gun gives a great send off to some of the most interesting and lovable characters I have read about in the last few years and solidifies The Machineries of Empire series as a top pick in the science fiction genre. 11) A Veil of Spears by Bradley P. Beaulieu – The Song of Shattered Sand is shaping up to be one of my top epic fantasies ever. Every year Beaulieu puts out a new gargantuan book and each year it delivers an excellent read. A Veil of Spears has every strength of its predecessors but builds a bigger and better story. The stakes are getting higher, the world is getting cooler, and I am growing more and more attached to the characters. The conflict has grown, new players have joined the board as both protagonists and antagonists, the scope and rules of the conflict have changed, and changed, and changed again. A Veil of Spears feels like some sort of bizarro Matryoshka doll, where every time I open it up and look inside I find an even larger space and story.Veil is book three of six in this giant sandy epic, and the series really feels like it has hit its stride. There is no better time to jump into Beaulieu’s incredible series and I will continue to advertise it for free until everyone picks up a copy. 10) Rogue Protocol & Exit Strategy by Martha Wells – Welcome to the top 10 of 2018. Up first we have everyone’s favorite AI finishing out her last two novellas. I love Murderbot. I love her… them… it… you get the idea. Last week when we were making out list of our favorite female protagonists there was a serious discussion if Murderbot counted, because she is one of our favorite protagonists of all genders. The Murderbot Diaries have just been one delightful surprise after another. Novellas this short have no right being as powerful, fun, and poignant as full length novels – but they are. Wells has a real talent for characters, and her murder and media-loving AI is still one of the most relatable characters I read about this year. Murderbot is now getting full length books due to their rampant popularity, so if you haven’t checked out these novellas yet you are doing yourself a grave disservice. 9) Grey Sister by Mark Lawrence – Grey Sister had huge shoes to fill following our #3 pick from last year, Red Sister. While this less vibrant sequel did not quite live up to its predecessor’s glory, Grey Sister still continued the Lawrence tradition of delivering pulse-pounding action in an enigmatic and engrossing world. Grey Sister has a laser-focused plot and the pacing of a dragster with an open throttle. It introduces us to new POVs, such as Abbess Glass, that do a lot to expand the scope of the story and help the reader grow closer to the collective cast of the book. I tore through this stellar sequel in less than two days and I am counting the hours until I get my hands on the final book in the trilogy. 8) The Empire of Ashes by Anthony Ryan – All of the top ten books this year were hard to place, but The Empire of Ashes was a particular thorn in my side. Ryan has been slightly controversial for a number of years due to the ending of his Raven’s Shadow series. However, I don’t think there is a single reader who will argue with me when I say Ryan absolutely nailed the finale of his second trilogy. The Empire of Ashes delivers an unbelievably climatic end to a series that has been a rollercoaster from start to finish. Lizanne might be the most badass protagonist I have ever read about and she is only one of a number of brilliant characters that litter this series. Each book in the Draconis Memoria has expanded the scope of the world. Waking started on a single island, Legion expanded to the major continents/empires, and Empire shows the you full world that Ryan has crafted. Ryan’s ability to paint a huge sweeping living world with tons of different governments and peoples, while also losing none of the pacing and immersiveness of his plot, is a step up from his past work. The Empire of Ashes is a phenomenal conclusion to a series that has only gotten better in each book, and that’s after it started off strong. 7) Persepolis Rising by James S. A. Corey – As always, I like to roll the December Expanse books over into my next years list, as they are definitely one of the best books of any year they come out in, but have a hard time making it onto lists due to their release dates. Persepolis Rising marks the start of the final story arc in the Expanse series, and despite still being two books away I am not ready for this ride to end. Persepolis Rising was one of the most emotionally stressful books I have ever read. I have been reading this series close to a decade now and I am heavily invested in the characters and plot. Watching this behemoth of a series slowly maneuver into its final arc is like watching the health of a loved one slowly deteriorate. The book is amazing, but it is starting to feel like I am saying goodbye to a lifelong friend and I am just not ready yet. 6) Bloody Rose by Nicholas Eames – It takes a lot of guts to take a tried and true cast of characters and throw them out the window, but that is exactly what Nicholas Eames did with his second book Bloody Rose. Eames decided to ditch his characters from his previous novel, Kings of the Wyld, in favor of a fresh cast and a new story. It is a true testament to his skill and imagination as an author that Bloody Rose is just as good as its hugely popular predecessor. Bloody Rose once again demonstrates Eames supreme talent for weaving themes into books. Each of the characters embodies a different form of relationship with their parents and they collectively speak to the many flavors of hardship that arise between parent and child. All of this is done in a magical setting, with charismatic characters, satisfying combat, and an engrossing plot that will keep you reading late into the night. With two brilliant books out in two years, I think it is safe to say that Eames is one of the best up and coming authors and a man you will want to keep an eye on in the years to come. 5) Wrath of Empire by Brian McClellan – Another year another step closer to the top of a best of list. Wrath of Empire shows McClellan continues to improve with every book he writes. 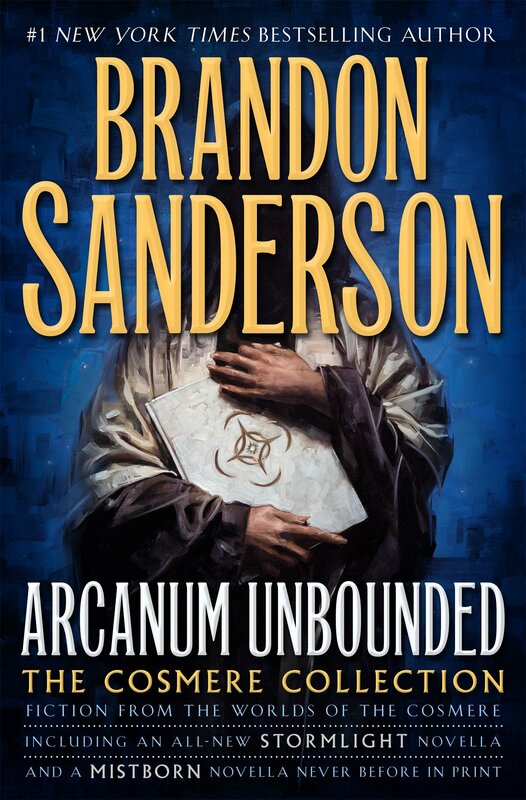 This book is the realization of all the potential that the Powder Mage Trilogy had and hopefully a herald for a new caliber of McClellan books. Wrath has flawlessly completed the baton pass of excellence from Sins of Empire and has helped Gods of Blood and Powder eclipse the already stellar Powder Mage Trilogy. The action is exciting, the plot is gripping, and the themes are deep and thought-provoking. You can’t ask much more of Wrath of Empire, and it is one of the strongest books of 2018. 4) Foundryside by Robert Jackson Bennett – I feel like it should surprise no one that Foundryside, by Robert Jackson Bennett, is a sensationally good book. Ever since I stumbled onto City of Stairs, Robert has been a fixture of my yearly best books lists and has never disappointed. The first book in a brand new series, Bennett introduces readers to a new cast to fall in love with and a host of new imaginative terrors to keep them up at night. The world is cool, the magic is cool, and the plot is amazing. Foundryside is a really good book, and effortlessly slides into the number four spot on my top books of 2018. Robert Jackson Bennett is a writer of supreme talent and imagination, and has once again proven that his work is worth everyone’s time. If you like politics, action, intrigue, engineering, heists, humor, fun, happiness, heartache, or lovable characters – Foundryside has it all. I honestly can’t imagine who wouldn’t like this book, so sit down, dig in, and have a good time. 3) Circe by Madeline Miller – For anyone who knows about Circe, its high place on this list should be no surprise. I have read a lot of Odysseus books, many of them incredible, but Circe is likely the best. Circe is the kind of book that hits cult popularity on its quality alone. The power of this book is in the prose, which might be some of the best I have ever read. Miller’s language is on par with the best prose writers of all time, and who you think is best will honestly come down to personal preference. She manages to hit the perfect combination of both flowing flowery language and a lack of pretentious writing. Her vivid descriptions will pull you in, and flood you with empathy for every character so that you feel as if you are living the book. The pacing is fast and exciting, and her take on all the myths is original and refreshing. Circe has no flaws that I could find, and the only way I could imagine someone disliking this book is if they hated the subject matter. Madeline Miller is an once-in-a-generation talent who I will now be following closely for the rest of her career. 2) The Will to Battle by Ada Palmer – Smart, imaginative, otherworldly, and a perfect commentary on society today – The Will to Battle is my second favorite book to come out in 2018. The Terra Ignota books are the fastest to rise to my tier 1 recommendation list, and each new book has only reinforced my decision to place the series that high. The plot of these books is like a 20 dimensional onion, each new layer revealing new concepts and ideas that I have to sit down and work to grasp. Reading The Will to Battle felt like going to a job, but one that I loved and was wildly passionate about. The characters are complex and one of a kind. The politics are complicated, fascinating, and engrossing. The prose and writing is top tier. The book is constantly surprising and delighting. The Will to Battle sets up the series perfectly for an explosive conclusion and I have no doubt that this unique science fiction series will be considered a inspirational classic in years to come. 1) Record of a Spaceborn Few by Becky Chambers – If I am being honest, 2018’s competition for best book wasn’t even close. It was always going to be Record of a Spaceborn Few. I really don’t have the space to express how much I loved this book in this huge list, so I implore you to please take a moment to read the review in the link. Record is a quiet, contemplative, and slow story about people who make their lives in space. The book moves like a beautiful symphony, each character telling a personal story that weaves together into a beautiful whole. It is a book that broke my heart, then pieced it back together stronger than it was before, and it is one of the best books I have ever read. There are no end of the universe threats lurking in this book. Instead, Record speaks to struggles all of us have gone, and are going, through and sets them in a wildly imaginative and engrossing science fiction setting. 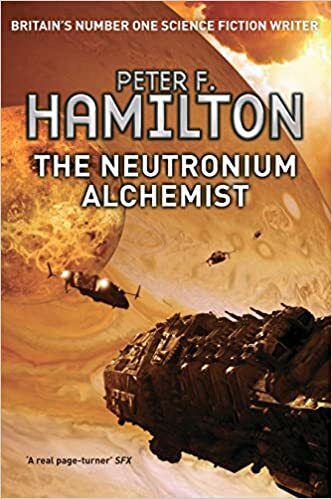 It has the wonder and creativity of any of the best sci-fi books I have read, with a cast of characters that rival any of the best traditional fiction I have read. This book affected me more emotionally than anything else I have read this year, smashing my heart with character tragedies and stitching it back together with victories. Record of a Spaceborn Few is The Quill to Lives’s #1 book of 2018 and I urge you to all go find a copy. So you have now finished Veil of Spears and are three books (published) into your six book series. How do you feel? Do you feel that you are on track? Relieved to be over the halfway mark? Worried about the ending? As always, I’m roughly one book ahead of the publication schedule. I’ve just finished Book 4, Beneath the Twisted Trees, so it feels like I’m four-sixths of the way there instead of only halfway! But it feels good. In A Veil of Spears, It finally started to feel like I was providing more payoffs instead of always setting things up. So in that respect it’s satisfying. It’s nice to pull back the curtain on some of the things I’ve hidden for so long. And the series itself is on track. I knew where it was headed from the beginning, and it’s pretty much stayed on course the entire time. I’m really looking forward to finishing up the last two books and calling the series done! After all this writing what is the thing you are most proud of in the first three books? Any particular scene that made you go “damn I am good” or a character you love? One of the things I was really keen to explore is this notion of the loss of one’s family, the loss of one’s heritage, and the rediscovery of those things. I think some of it stems from loving things like The Lord of the Rings with all its hints of lost civilizations. Well, now I get to have my cake and eat it too! I hint at a ton of things from the past and get to revive them over the course of the books. So it’s been a real pleasure to realize that goal. I’m not done yet. There’s still more to uncover and more for Çeda to do, but it’s been great to see it all unfold. And I’ve done it through the main character, Çeda, who has also grown up in the telling of this tale. It’s been very rewarding to see her blossom as the books have progressed. She’s been through a lot, but is coming out the other side stronger for it. Harder. At the same time, though, she hasn’t lost sight of what matters most to her: her friends, her family, her tribe. What have you learned from each of the three books? Are there any areas you felt you needed to improve on the second half of the series or are you perfect in every way? I think every writer is evolving. One of the things that I’ve tried to pay attention to in the past few books (with some stinging but very helpful comments from my editors!) is to be careful about over-explanation. Writers have to take care with past events, be they backstory, events from previous books, or even events in the same book that for whatever reason are being rehashed (usually due to some unfolding mystery). Explain too little and you confuse the reader. Explain too much and they feel pandered to, or worse, get bored. It’s always a bit of a challenge to decide where to draw the line, but often I was erring on the side of explaining too much, fearing the reader would get left behind. I’m adjusting a bit, trusting the reader more, and I hope it’s creating a smoother read for fans of the series. I know this is like asking who is your favorite child, but who is your favorite character and which is your favorite book in the series (and why)? Well the easy answer is Çeda, and it’s true. She’s the focus of the series. She’s the one who’s guided my choices the most. That said, there is a close runner-up. Meryam. She’s someone who started off as a player in the game that’s unfolding in Sharakhai, but I didn’t envision her as being quite as big a player as she’s turned out to be. She’s bold. Driven. Much more than I gave her credit for initially. And while she’s ruthless, her actions are completely believable from her perspective. I’ve really enjoyed writing her scenes, and seeing how her story is starting to unfold. She’s become a wildcard in the series. How much research have you done between books? Song of the Shattered Sand is some of my favorite Middle Eastern/Arabian inspired fantasy and as someone completely ignorant of the culture I am curious how much comes from their lore. I tend to do the most research in the customs of the Middle East, traditions surrounding food and holidays. I also like to research garb and weaponry, sometimes fighting technique, either in single combat or in larger conflicts, just to get a sense for how those things would have played out in our world at that time. I also like absorbing stories, legends, mythology from that time period. One of my favorite acquisitions in recent years is Sharaz-De: Tales from the Arabian Nights by Sergio Toppi, published by Archaia Press. It’s a stunningly beautiful book, filled with retellings from the stories in Arabian Nights (or A Thousand and One Nights). It’s well worth it for the artwork alone, but also if you’re interested in Arabic tales. What was your inspiration for the series? Was there any particular ideas, books, or events that you experienced that led to it? In particular I would love to know your inspiration for a story involving hunting 12 kings with different powers using poem riddles. It combines so many of my favorite things and I would love to know how you came up with it. The story had a really long evolution. It took me years to develop. The basic desert city was first. The asirim, the strange mummified creatures who steal into the city each month, came very early as well, long before I knew who Çeda was or that there were in fact twelve kings. Slowly, the city and its status as a great power in the world unfolded. And I found out who Çeda was. I knew by then that I wanted it to be a story about rediscovery, and what better way for that to happen than if her mother was taken from her and if she had almost no connection to her family and her people? But as I thought about it more, I wanted there to be some connection from Çeda to her mother. That was how the book of riddles was born. Her mother had secrets. Very dangerous secrets. And she and Çeda both loved literature. What better way to pass down her mother’s secrets than through a book they both loved? Once the idea came to me, I really embraced it. It’s become one of my favorite parts of the series: this one thing, a book of poems and stories, linking mother and daughter beyond death and setting this grand tale into motion. In general, do you have any favorite fantasy/sci-fi books? What are you reading right now? Some recent favorites have been Jason Hough’s The Darwin Elevator, China Miéville’s The City & The City, Naomi Novik’s Uprooted, and Sarah Pinborough’s Behind Her Eyes. Right now I’m reading Philip Reeve’s Mortal Engines on audio and Nicholas Eames’ Kings of the Wyld on ebook, and really enjoying both. The series takes place in a beautifully realized desert setting. What is the most thirsty you’ve ever been, and how did you draw from that experience when writing these books? I’ve loved writing about this grand desert. I’d wanted to write a desert-based fantasy for a long while. It kept showing up in my short stories and even in my first published trilogy, where the characters traveled to a vast desert in part of the final installment. More than being thirsty, I’ve drawn on the times where I’ve been in really hot settings. Try Phoenix in summer. I also lived in Southern California for five years, and went on various hikes and excursions. It’s dry down there, and those experiences helped me as well. We’re always told “write what you know” but sometimes we forget that we can both write what we know and extrapolate from tangential experiences to create a whole new experience in our books. Perhaps “borrow from what you know” would be a better way to put it. Thanks again to Bradley for stopping by! Sand. It’s coarse, irritating, hot, encumbering, and all around unpleasant. I have spent a lot of time in sand, both in reality and in fantasy books. However, despite sand’s difficulties, it often provides settings of profound beauty and wonder. When it comes to books set in the desert, I have been championing one series in particular for years now: A Song Of Shattered Sand, by Bradley P. Beaulieu (whose name I just now spelled correctly on my first try for the first time ever). Now, the good news and the bad news. The good news – Bradley just released the third of six books in the Shattered Sand Series, A Veil of Spears. The bad news – I lied, there is no bad news, everything about this news is good. For those of you unfamiliar with the series, you can check out my earlier reviews from the first books here and here. These novels have not failed to place in my top books of the year whenever they come out, and I am happy to say that I am sure Veil will perform similarly. I am going to avoid talking about the plot of Veil, because I think many of you who read the site haven’t picked up this series yet (it is criminally underrated). If you need to know what happens, suffice to say that the story picks up immediately after With Blood Upon the Sand. Ceda’s war against the kings of Sharakhai has been making progress, but every time a threat is dealt with a new one seem to arise. Instead of talking about plot details let’s jump into why you should be reading this series. I have talked in the past about how I love the setting, characters, story, magic, and other elements of the world – but as I was reading A Veil of Spears I found myself amazed with the complexity and depth of Bradley’s writing and thought this was the perfect time to talk about it. The Shattered Sand series starts with a simple quest: find the 12 poems of the 12 kings of Sharakhai – each poem detailing a king’s power and the way to kill them. Most epic fantasies would be satisfied with just this plot line, and if it was the only thing happening in the series I would likely still be reviewing it positively because it’s a blast. Ever since Harry Potter set out to find the horcruxes and Bilbo Baggins had to solve Gollum’s riddles I have had a love of collection quests and solving riddles. They tap into something primal for me from when I was first learning to read and discovering my love of fantasy, and the poems and riddles in Sharakhai are extremely well done. However, reading A Veil of Spears you will see that the poems of the kings were just the tip of the iceberg for the Shattered Sands. The conflict has grown, new players have joined the board as both protagonists and antagonists, the scope and rules of the conflict have changed, and changed, and changed again. A Veil of Spears feels like some sort of bizzaro Matryoshka doll, where every time I open it up and look inside I find an even larger space and story. I frankly don’t understand how Bradley continues to continually expand the size of this story while keeping it so tight and well paced. His storytelling is some of the best I have read and his prose is top notch as well. As usual, Bradley’s newest Shattered Sands novel has surpassed my high expectations and set the bar higher. A Veil of Spears has every strength of its predecessors but builds a bigger and better story than I could have imagined. This series is now halfway done, and I am giddy with excitement to see what the next three books have in store. Finally, I hope my annual “why aren’t you reading this” has continued to chisel at the resolve of the many holdouts I have met that have Twelve Kings in Sharakhai in their to read pile.